Done painting, time to look at replacing. Here is a kitchen that deserved a remodel. 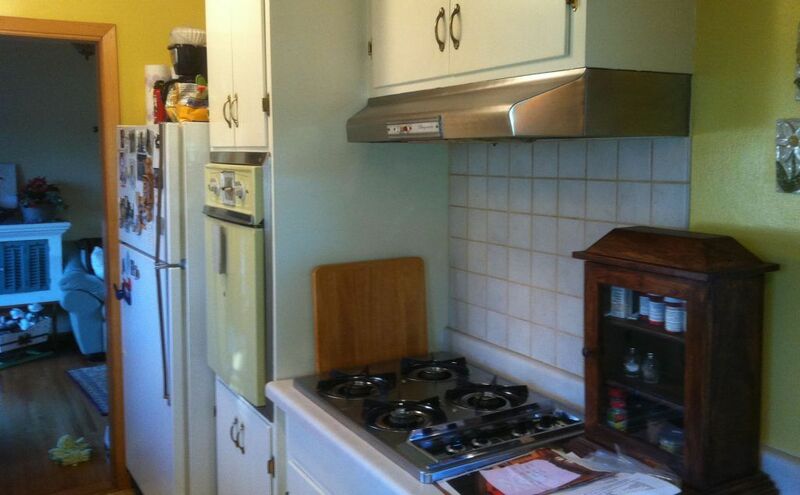 The homeowner always wanted to remodel their kitchen as it became more and more outdated. The cabinets were original and had been painted several times already but were still functional. The appliances, however, were definitely out of date and the homeowner would definitely benefit from updating. In order to change the appliances, the cabinets had to go. 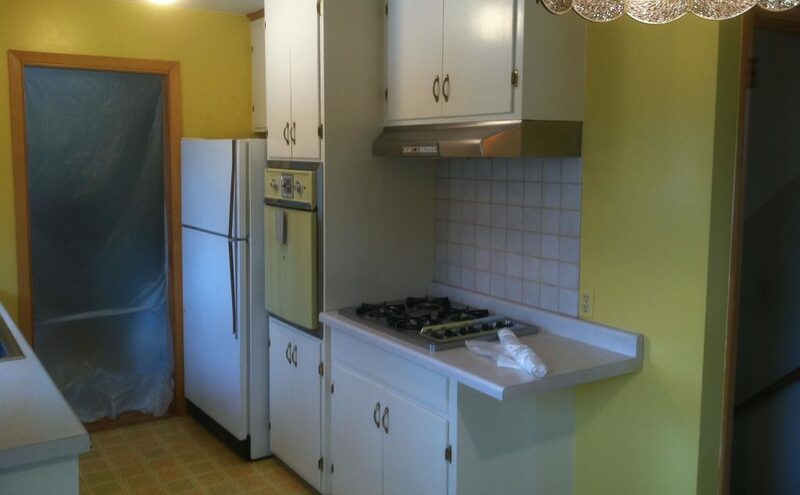 They also wanted to add a dishwasher. 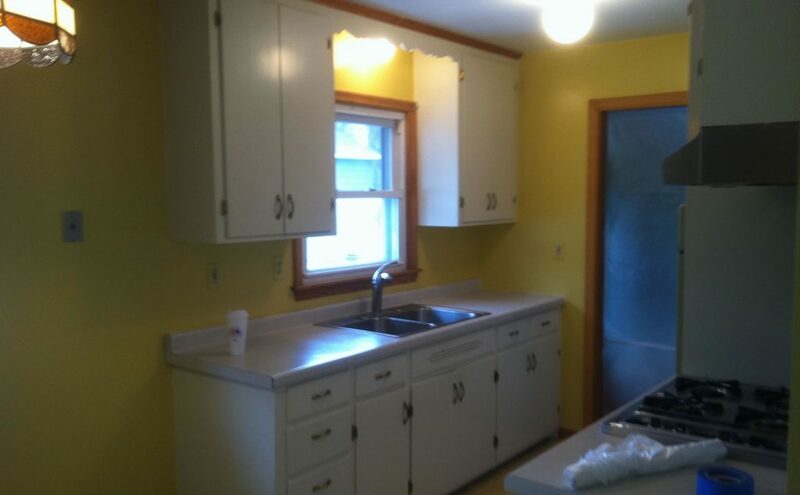 They liked the idea that we could completely remodel their kitchen in only one week. We put together a new kitchen design with some great features. 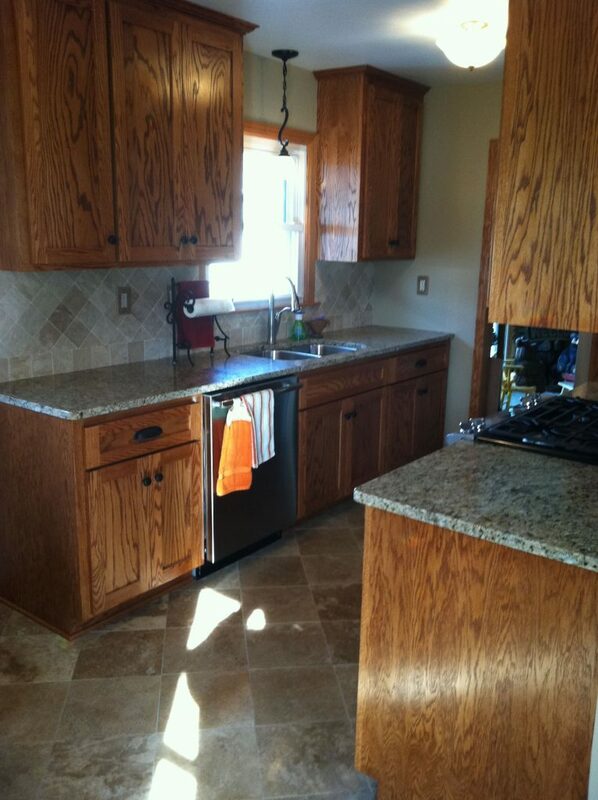 Their new kitchen included custom cabinets, granite countertops and lots of rollouts in the lower cabinets to maximize the storage. 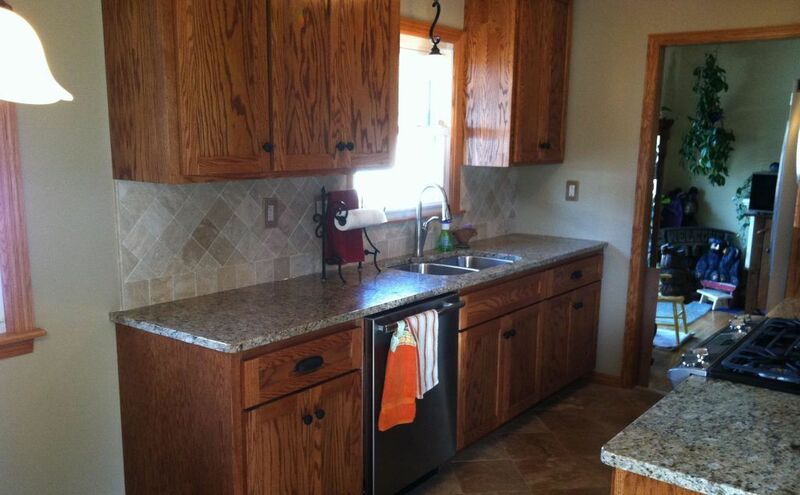 The kitchen also features natural limestone flooring and a travertine backsplash. 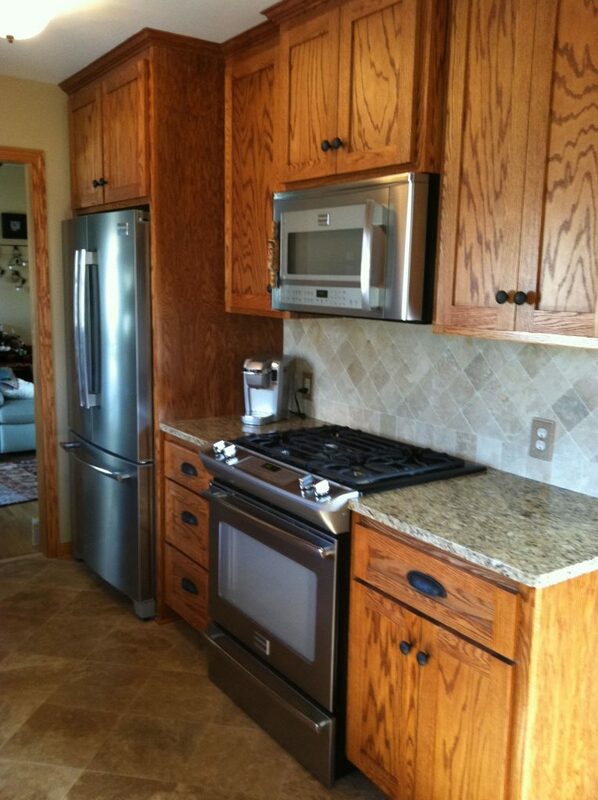 All new appliances were installed including a dishwasher, a new convenience for the clients. They loved their kitchen remodel and according to the homeowner, one of the best features is the kitchen remodeling only took a week to complete.